How do you feel about Science? I love Science, but not as quite as much as I love Maths. In fact, I even have a Bachelor of Science degree! I run into so many teachers who are scared of teaching Maths and Science because they don't think they know enough background information. 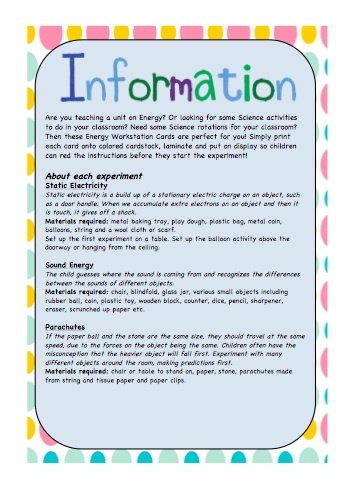 Don't be scared of Science - here is a pack that is perfect for you!!! 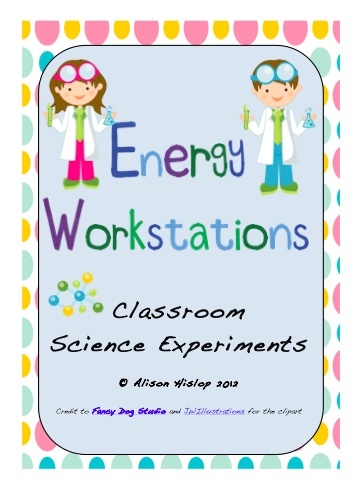 Centered around the concept of Energy, this pack is perfect for little science experiments (with no tricky materials required), science rotations or lunchtime activities during Science Week! 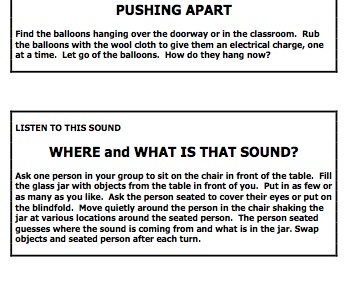 Included are 9 different task cards for children to read and follow instructions. Also included is comprehensive teacher notes. 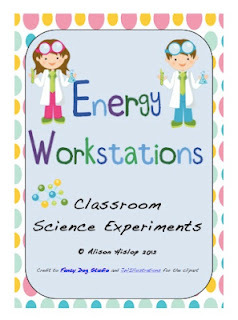 Check it out today at Teacherspayteachers or Teachersmarketplace. Be one of the first 3 to comment below and I will email it to you for free! Perfect for 3rd Grade onwards! Thanks for your comment on my blog (teaching with J). And no, I am not at a trial school - every lucky school in Queensland 'should' be using C2C. Some, a little more flexibly than others!!! 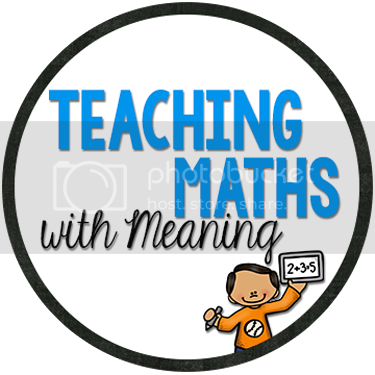 I don't mind the maths so far for Year 1. It did take a full Unit to get into the teaching way of it, but now it flows smoothly. And we also follow the C2C for Science!!! With your passion for both maths and science you will love getting your teeth into this curriculum next year. Alison, I am so glad that I found your blog. Your stuff is awesome! Kids love science, and most teachers just don't do enough with it. I can't wait to see more of what you post! I LOVE science and teaching science! The is awesome. I also have a BS in science and yes, a lot of teachers shy away from the science and math subjects. Thanks for your comments! It is always great to share and talk about teaching online! 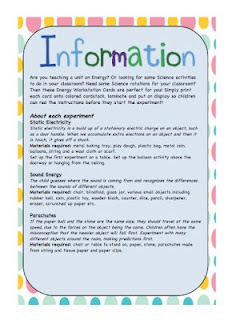 If any of you would like this science booklet for free, please let me know and send me your email address.